WASHINGTON - March 15, 2019 - PRLog -- It brings us great pleasure to announce a $200 scholarship grant in support of the endeavors of Lacy Simone Jones. This young woman is a shining example of the young men and women that we, at LEAP Foundation DC, aim to raise up. Our nonprofit has been working to empower minority men and women in the Washington, D.C., and surrounding areas since 2009. By providing educational and training opportunities, LEAP's programs advocate for the health and wellness of community members, deliver services to individuals and families in need, support local organizations in their efforts to improve their community and provide a stage and voice for those who are overlooked and disregarded. Most importantly, our organization is honored to offer the financial support necessary to help our young leaders advance to the next level at any phase of their lives. 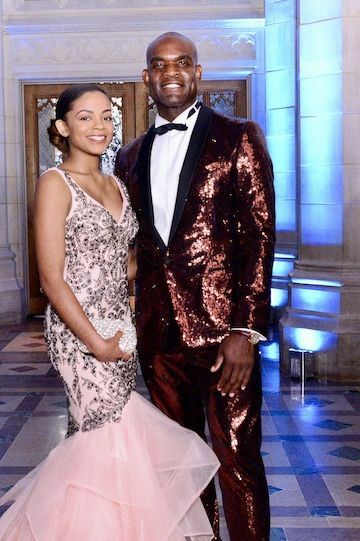 "It is an integral piece of our own program, at LEAP Foundation DC, to see that our student mentees are given every push possible to advance as leaders," said Dr. Clayton Lawrence, President and CEO. "This is an incredible opportunity for Ms. Jones, who, without a doubt, will find great benefits in the social and cultural activities open to contestants. We applaud The Prince George's County Alumnae Chapter of the Delta Sigma Theta Sorority for making great success possible for the next generation of leaders." Driven by a mentality of servant leadership, Lawrence Executive Alliance of Professionals (LEAP), LLC, has been providing superior quality healthcare for active duty, veteran and civilian patients since 2007. Dr. Clayton Lawrence, a decorated and respected veteran of the United States Army, saw the need for a company that would operate with a new philosophy to bring forth excellence in the healthcare industry. Staffing medical facilities across the country with physicians, health educators, medical examiners and more, LEAP has been recognized with several awards of excellence and is certified by the Small Business Administration. Winning the Washington Business Journal Minority Business Leader Award for 2014 was just the beginning of much-deserved recognition for positive changes in the District of Columbia and across the nation. Dr. Lawrence and LEAP, LLC, were selected as the 2015 Washington, D.C., Chamber of Commerce's Small Business Person of the Year. In 2016, Dr. Lawrence was honored when he was entered into The Congressional Record for his work in business and civic leadership throughout the greater Washington, D.C., region and abroad. Later that year, he received a White House Letter of Commendation from President Barack Obama for his work with LEAP, LLC. LEAP, LLC's nonprofit partner organization, LEAP Foundation DC, has been building bridges between hope and achievement in the District of Columbia and the surrounding communities since 2009. The group works to address the unmet social and health needs of the area's people and, among other accolades, was recognized in 2014 with the Greater Washington Hispanic Chamber of Commerce Nonprofit Award. For more information, visit https://www.leap4staffing.com or https://www.leapfoundationdc.org.